Happy Friday! What colors make you feel happy? I really enjoy bright colors, they automatically let me in a good mood! The outfit of the day is very romantic, full of joy and special (you can see me included in this set, yay!). Also it's a previous inspiration for the Valentine's Day: a vintage 1950's floral dress; mary jane pumps; handbag and delicate jewelry. Sincerely, I feel like this look came from a classic movie and I would love to wear it! Have everyone a blessed week! Feliz sexta-feira! Quais as cores que te deixam feliz? Eu realmente gosto de cores brilhantes, elas me deixam automaticamente em um bom humor! O look do dia é muito romântico, cheio de alegria e especial (você pode me ver incluída neste set, yeah!). Também é uma inspiração prévia para o Dia dos Namorados: um vestido vintage 1950 com estampa floral; sapatos mary jane; bolsa e joias delicadas. Sinceramente, sinto que este look veio de um filme clássico e amaria vesti-lo! Tenha todos uma semana abençoada por Deus! I love the dress and the yellow touch:). I'm in love with this floral dress, I would wear it any day! That dress is so pretty! I love it! Beautiful floral print and colors! Great inspiration board! Love the dress and the yellow accessories. 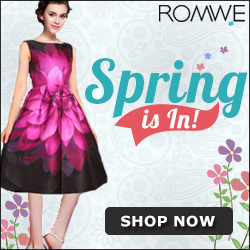 This is so perfect for spring! Lindíssimo esse vestido combinou perfeitamente com o sapato e a bolsa!! i am following you now, you can also follow me back please ! Também adoro vestir cores fortes, elas deixam o dia mais animado mesmo! Can I please have that bag?! That floral pattern is beautiful! I love the pick of the yellow accessories, so fun! You have such a good eye for fashion! That dress is stunning! Love it! I literally saw that photo and said 'wow!' That is such a lovely outfit, the colours are perfect together and I absolutely love a bit of vintage, so flattering and classy! I love also bright colours and the dress you show here! Oh, that dress is so gorgeous!! Yellow definitely makes me happy and this post makes me want spring to come little sooner. Have a great weekend! Sorteio la no blog vai la.. I love the print of this beautiful midi dress! So chic! Have an amazing weekend Jessica! Love how you paired yellow shoes with this dress. So fun!! A cor que me deixa feliz é rosa, mas esse vestido é maravilhoso. Beautiful! These are definitely happy colors! This dress is so stunning! I love the vintage vibe! Lovely dress ♡♥ all the colors make me happy ! O vestido é muito fofo! Hi Jessica! Thanks for the lovely words on my post. The pictures are from Ilhabela and Buzios, the other ones from Ilha Grande and Rio do Janeiro will be up soon in the second part and I have more on Instagram. i love fit & flare dresses! so girly! The dress is stunning. Amazing post & can you please click on the sheinside links in my latest post. It would mean the world to me! I love the color of those shoes! Cute. I am in love with that floral dress! Such a lovely and romantic outfit, love that flower dress! Love the happy colors of the dress! Menina que escolha maravilhosa! O vestido é perfeito e realmente super colorido e lindooo! 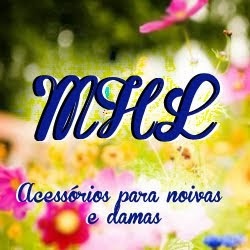 Amei os acessórios que escolheu pra compor com o vestido! OMG!!!! que coisa tão lindaaaa!! Super Amei! Love the florals and burst of colors! Lovely dress! flower print is one of my fav for ever and ever. Beautiful dress, i love all of this! Yellow is definitely one of them! :) The floral dress is very pretty! Que lindo *o* adorei o look, a combinação ficou ótima! Just discovered your wonderful blog after you left a comment on mine. Stunning outfit! I LOVE the floral dress! Following you on GFC & Bloglovin. It sure is a color of happiness! One look and it's a perk me up. You pick really good things. Tb gosto de cores brilhantes! achei a estampa do vestido mt amor!! Look bem delicado, ficou bonito. Babando e querendo demais este vestido! Perfeito! The dress is stunning!!! Love It combined with the yellow color for the shoes and bag! That dress paired with the yellow is amazing! It reminds me of a friendly Alice in Wonderland (not Tim Burton).